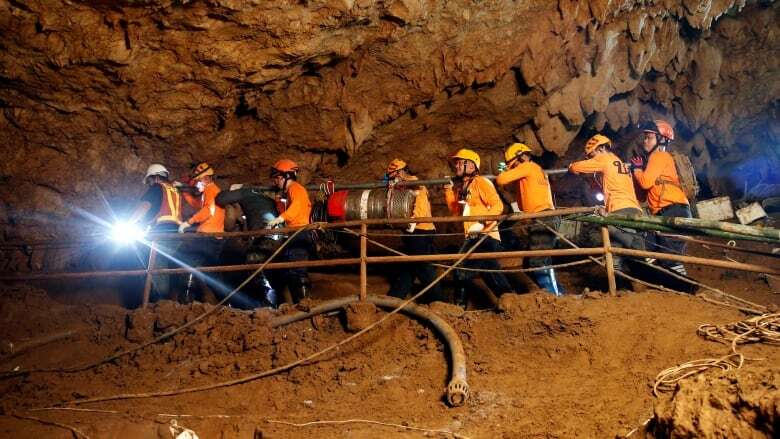 12 Boys & Coach rescued from DANGEROUS Thailand Cave: Watch the VIDEO!!! Sri Ramachandra Murthy July 12, 2018 10:29 IST 12 Boys & Coach rescued from DANGEROUS Thailand Cave: Watch the VIDEO!!! As per report the family members of the young Thai soccer players and their coach, freed after almost three weeks trapped deep in a cave in northern Thailand, were able to visit them in hospital Wednesday. Meanwhile they were separated from their loved ones by glass, as the boys are being kept in isolation to avoid infection, according to Dr Chaiyawej Thanapaisarn who spoke at a press conference Wednesday. Moreover in video shown at the press briefing, the boys could be seen wearing hospital masks and gowns and waving to family members, many of whom were in tears as they looked through the glass. Furthermore during the roughly nine hour rescue operation, the boys were underwater for four to six hours, according to Jedsada Chokedamrongsook, the permanent secretary of the Thai Health Ministry. Further as per report the most dangerous part of the journey out of the labyrinthine cave system was the first kilometer, during which they were required to squeeze through a narrow flooded channel. Nopparat Kanthawong, the head coach of the Wild Boars team. He said "At this time, now that the coach is out, just wait until he gives any statements and let's just wait altogether and find out at the same time”.